This is not a social studies book. It does not pretend to speak about the objectively real “facts on the ground.” Which means that while he tells up about the coal mines, he does not tell us (as McClatchy reported in 2015) that far more jobs have been created in renewable energy than have been lost in coal. That’s important (and Hillary might have done a bit better had she mentioned this during the campaign) but that’s not J.D.’s point. He is not describing some objective reality but a feeling and a memory. 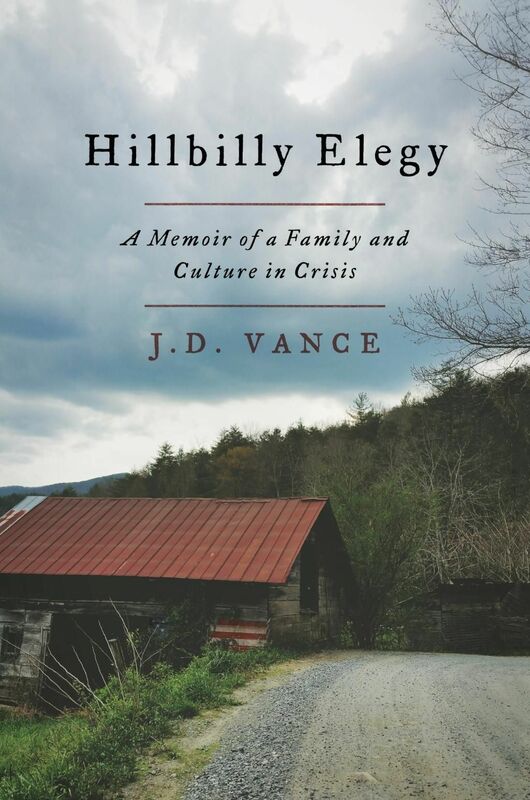 His book is part catharsis and part a plea with us to understand his people—the Appalachian hillbillies. So why should we take his word for it? Didn’t he flee his people—more, didn’t he decide to settle in just about the most non-hillbilly place on earth? Yes, but that too is part of the story. But this is more than a personal story. Time and again, J.D. steps outside the story and gives us an analysis of what he thinks was going on. Sometimes I found those sections of the book jarring; occasionally I found myself chuckling a little when he presented what I consider to be a pretty straight-forward Democratic policy as a conservative one. (J.D. considers himself a conservative and has worked for Republicans.) But in the end, his message is pretty simple. The hillbillies are people. Respect them. They have a kind of common-sense, no-nonsense religion that they live by. Don’t force them into mega churches. Don’t try to fix everything either; just put your finger on the scale for the kids so that they can end their problems. Because at the end of the day, hillbillies look after their own. Help them do that and you will have done a lot. I truly liked this book and highly recommend it. This is a touching, love-filled and very personal story about a very tough people with an unique culture and loads of problems. And a few suggestions of what other Americans can do to help that community overcome. While I highly recommend it, I would caution anyone buying it, thinking to give this to their teenager or something that there is a lot of swearing . Not gratuitous swearing; the author simply records how the folks around him talked. And they swore. A lot.